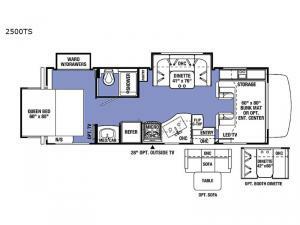 A Ford chassis carries this Sunseeker Class C gas motorhome that offers ample space thanks to three slides. 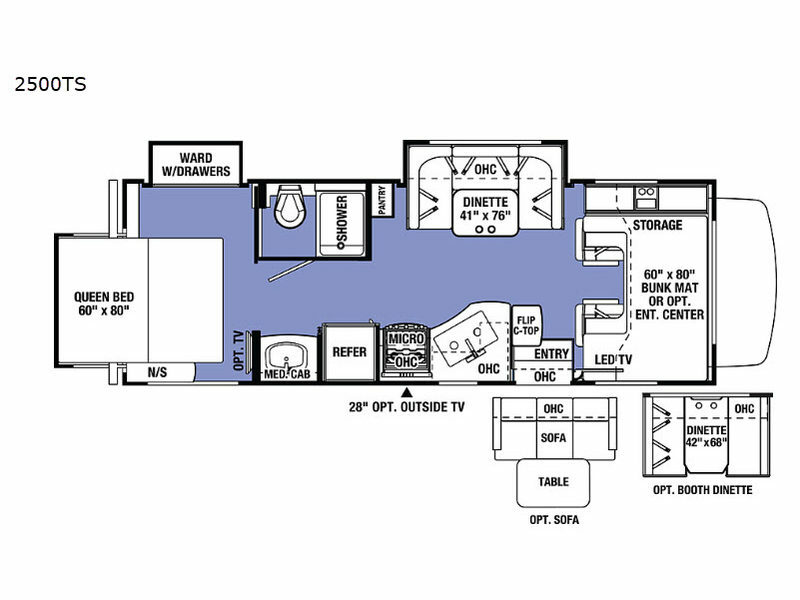 There is a 60" x 80" bunk over the cab that can sleep two individuals, a U-shaped dinette that can sleep two smaller individuals, and a queen bed that can sleep two as well. You can take this motorhome on a weekend trip and have plenty of space for your friends and their things. There is a wardrobe slide in the bedroom, a unique rear slide that houses the bed, and overhead storage throughout this unit. If it is a cooler day, there is an LED TV in the front for watching movies.